Nestled in the heart of Soho, Venetian style bacaro Polpo and Campari bar occupy the ground floor basement of an early 18th century building on Beak Street. Serving traditional cicheti and small plates, the restaurant takes its inspiration from the osterie and dintorni of Venice. Northern Italian wines form the core of the wine list, proving the perfect spot for a pre/post-dinner drink or a light cicheti snack served, in the true Venetian style. The bar design features a rustic, zinc-topped bar, exposed brick walls. Serving classic cocktails, the Campari Bar includes Polpo’s signature Venetian Spritz. 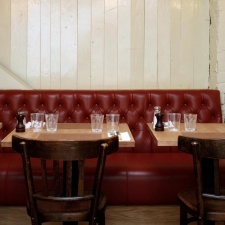 Located in the basement at Polpo, the private dining room has seating for up to 25 guests. Head Chef Tom Oldroyd will devise a menu of cicchetti and sharing plates for lunch or dinner. 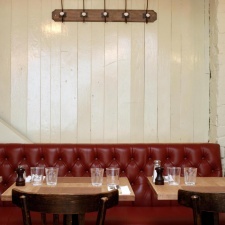 POLPO’s head chef Tom Oldroyd, has created a menu of simple and authentic small plates and cicheti. Classics such as Polpette and Octopus Salad sit side-by-side with some of Tom’s own dishes, like Pork Belly with Radicchio and Hazelnuts. 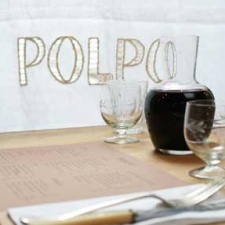 POLPO’s wine list offers simple wines typical of the region with some sourced directly from local producers. The emphasis is on interesting varietals and fantastic value-for-money. This tapas bar always delivers great food and service - a great date place. Despite having a celebrity chef at the helm and the Mayfair location, Bentley's Oyster Bar is a relaxed place to enjoy delicious seafood.